Recently I was asked if I would participate in a virtual blog tour for a collection of short stories about women debuting this month. I agreed, albeit with trepidation. I had never been asked to do this before and was not familiar with the author’s work. Virtual blog tour? I suspected that the author’s publicist had contacted me because the Women’s Writing Circle focuses on women finding their voices through writing. Our audience of almost 4,000 views a month is primarily women. In virtual blog tour lingo, "good traffic" and "targeted audiences" are key. 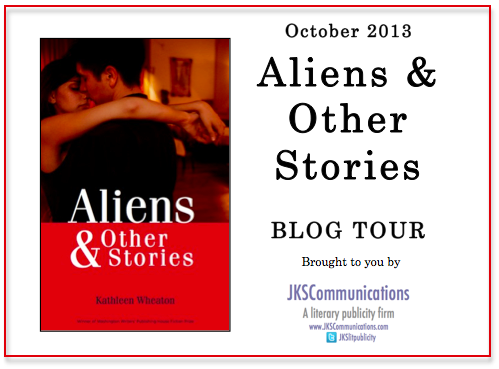 While I had heard other authors doing this, I had not pulled it together to do a blog tour for my own books. Of course, I had not hired a publicist either, which in hindsight might have been a mistake. Online visibility and reviews spell life or death for a new book. “It’s good publicity for you to do these things. It gives you visibility,” someone who knows the vagaries and power of social media told me Still, it felt like one more social media “to do” chore. It is a relatively recent phenomenon that women have been encouraged by other women to seize their stories and compile them for anthologies and short story collections. We did this in the Circle with Slants of Light, which included memoir, poetry and fiction. Again, maybe we should have hired a publicist or gone on a virtual blog tour, since the book has not been selling as much as we hoped. In any case, writing our stories vis-a-vis the snapshots that comprise anthologies is a way to break down, analyze and express the isolation and feelings of alienation many women experience. In that alone, it is a worthy exercise. 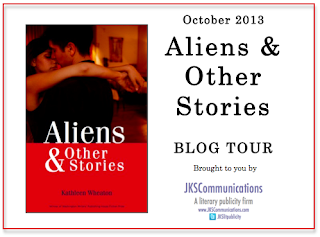 I began reading Kathleen Wheaton’s collection, Aliens and Other Stories, the winner of the Washington Writers' Publishing House Fiction Prize.The more I read, the more I experienced the thread of women exploring their lives with poignancy and cynicism, resignation and a “tomorrow is another day” Scarlett O’Hara determination to get on with the business of being a woman in a man’s world. Wheaton’s publicity package emphasizes that Aliens and Other Stories refers to many of her characters who “are exiles, immigrants adrift in middle-class America.” Some are political refugees from Argentina, others survivors of a Cuban shipwreck. But what struck me most were the universal messages embedded in the narratives of this 220-page compendium; women longing for connection but often resorting to their inner lives to find sustenance missing in marriages and family. In "Milagros," Mila is in Mexico with George, a successful novelist bedridden with typhoid fever. She has worked with him for years as muse, "helping him invent backstories for his women." "If we're to be friends," she tells him, "we would have to talk about me sometimes." While George is sick in the hotel bed, Mila heads to the pool where she meets Mario, the father of two young daughters and a charming, sensual man who appreciates their shared Cuban heritage. After they make love, Mario reveals he is not divorced, as he had led her to believe. Rather, the love affair has been a way to cap off a vacation away from his wife. He presumes Mila has the same laissez fare attitude. “I thought we were on the same page,” he says. "You come here with one man and the minute he gets sick you go off with another." Mila, who has fallen in love with Mario, protests. "That's different. George knows about you. He encouraged me to spend time with you!" Mario dismisses her protests as she lays naked in bed, surveying her from his "moral high ground." "You know the whole open-relationship scene is just too much for me," he says. As we say in the Women’s Writing Circle, “Job well done!” I was pleased to have had the chance to explore this little treasure, although it is work to read a book, write a review and decide how to hone it to your own platform. Let’s hope I have done justice to my first virtual blog tour. Whether I will partake in another is up in the air. For now we’ll file it away as another social media experience, among many! Have you participated in a virtual blog tour? What has been your experience?